Conversation in the faculty lounge turned to compost the other day. I mentioned that the worm guy http://www.flickr.com/photos/vhayward/2917500802/ recommended moving the compost pile every six months to avoid tree roots growing up into the pile. 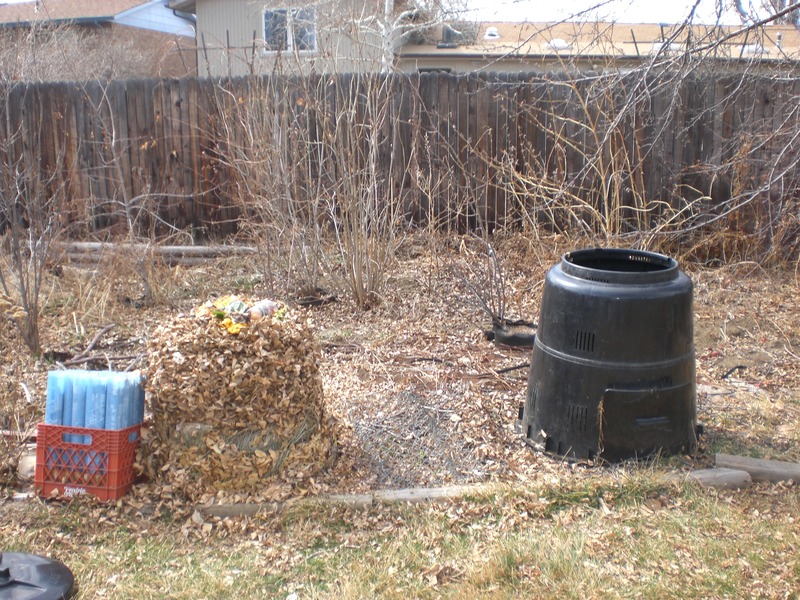 One of my colleagues insisted that she was not going to take the time, not going to “get a sub so I can flip my compost pile twice a year!” I didn’t argue with her- there is no arguing with some people, but honestly, you don’t need to take a day off work. 1: lift bin off of old pile. It's easy to slip the bin up off the pile, then scoot it a few feet over. 2. Put the most recent additions into bottom of bin in new location. That's not compost yet, that's just gross. Needs more time. 3. 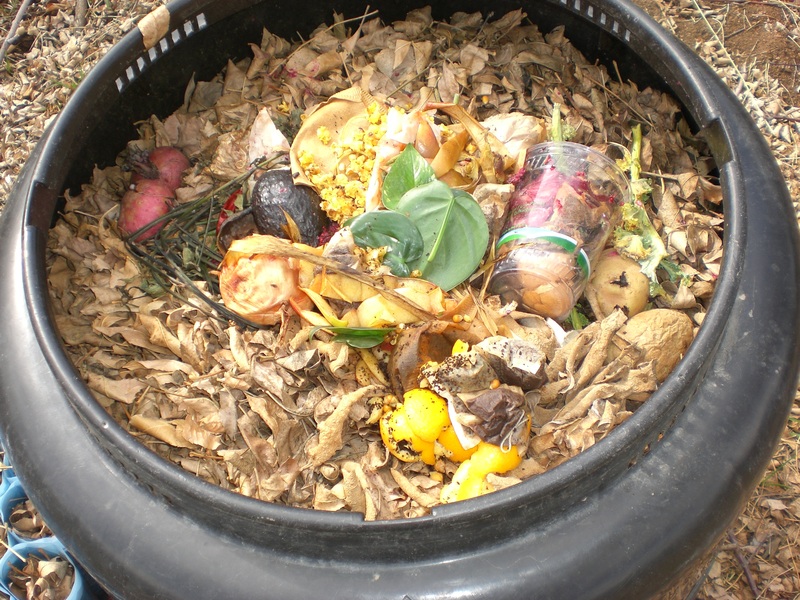 Use finished/almost finished compost on plants. 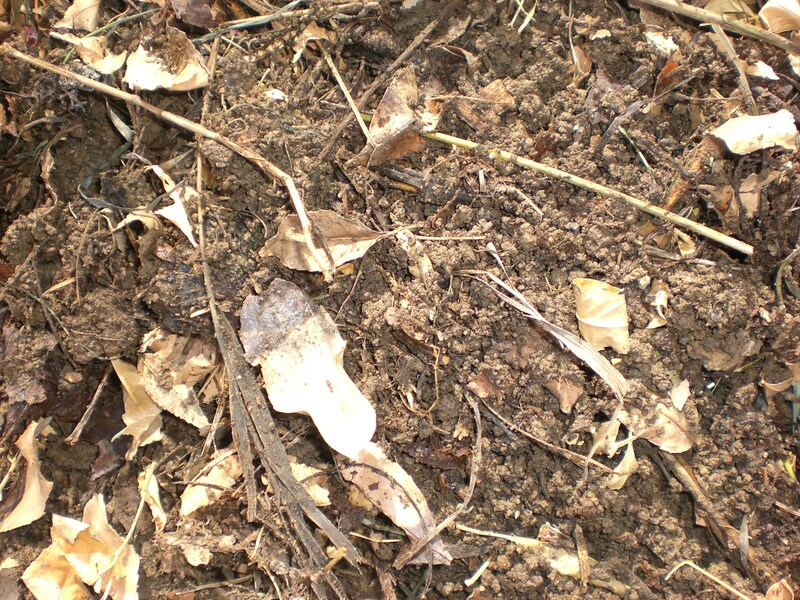 There are still some identifiable chunks in here- leaves, of course, and flower stalks. Moving the pile adds oxygen, which will help things break down. Mine had a lot of leaves that had matted, and some identifiable avocado pits- they take a long time, but eventually, everything breaks down. I guess step 5 might be to wash your hands and get a glass of iced tea. It really is pretty easy. 20 minutes start to finish, and that includes taking pictures. I haven’t one…but we are making our first foray into gardening…there are tomato and zinnia seeds sprouting in a grow garden on my bathroom counter. I have a big bathroom…and a big bathroom counter…and this is the room with the most light and the warmest temps due to its huge windows WAY UP THERE at the vaulted ceiling. I’m thinking if this is even marginally successful, I’ll have created a gardener in Jayden. and he would LOVE a compost pile, simply for the whole grossness factor.